All the best Alfa Romeo models can be found at Alfa Romeo of Larchmont. The chance for us to assist residents in the New York area to get the vehicle they want and deserve is what we're here for. New York is one of the oldest states in the United States of America, and it is one of the most popular destinations on the globe. The state is bordered by Pennsylvania, New Jersey, Vermont, Massachusetts, and Connecticut. It also has an international border with Canada. The capital of New York is Albany, which can be found in the eastern part of the state. Some of the finest universities in the world are located in New York State, including New York University, Cornell University, and Columbia University. For car shoppers in the NY area, we can help you find the right new or used car to suit your needs right from our website. For daily commutes or long road trips, Alfa Romeo of Larchmont is sure to have something in stock to meet your goals. Searching for a pre-owned car in New York? With our variety you won't need to shop anywhere else. Our pre-owned inventory has an extensive variety of vehicles by many of today's top automakers. Alfa Romeo of Larchmont makes achieving your goal of an affordable vehicle loan a fast and easy reality! Even if you don't have perfect credit, we have experts on staff that can help anyone in New York get a loan or lease that works for them. We look forward to working with you and instantly approving your loan! If you're having trouble with your Alfa Romeo vehicle, then bring it by and let our knowledgeable service personnel diagnose and fix the trouble. 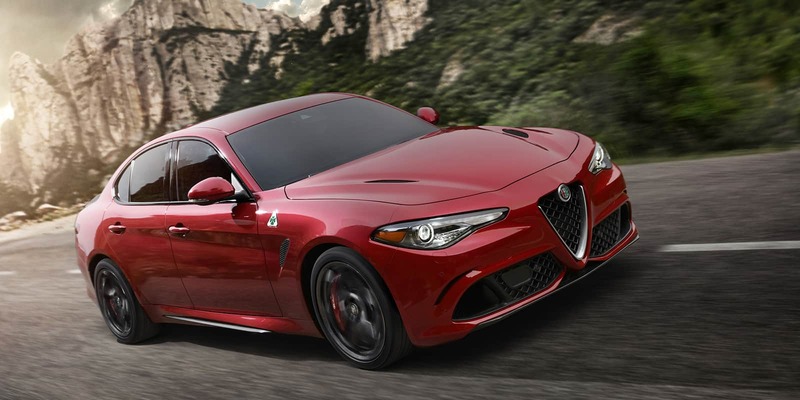 All the parts and resources you require to keep your Alfa Romeo vehicle in top condition can also be found at Alfa Romeo of Larchmont's repair center. If you'd like to make an appointment with our service staff you can do so by creating a vehicle service appointment here on our site.